Dr. Krugman got her bachelor’s degree in Animal Science at Cal Poly in 2006 and then attended veterinary school at Washington State University. After graduating in 2011, she moved back to the Central Coast to live with her husband, Sonny and animal family. 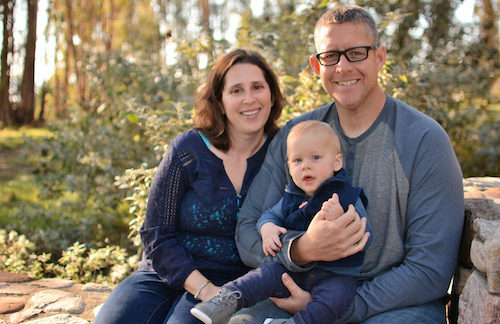 Her family has recently expanded to include a beautiful baby boy, Bennett. Dr. Krugman joined Atascadero Pet Hospital and Emergency Center in 2014 after working at a couple of other clinics in the area and especially enjoys surgery. In her spare time Dr. Krugman enjoys crafts, photography, and horseback riding. She also enjoys just spending time with her family and relaxing at home. Your staff have always taken good care of my dogs. They are always there with answers to my questions even if it’s the middle of the night. I feel much better about my dog’s health knowing Atas. Pet Center is there. You are always comprehensive and caring when it comes to our pets. Everyone in the office makes us feel like you really care. Thank you. 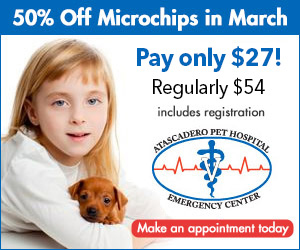 Atascadero Pet Hospital "A Full Service Veterinary Hospital Serving the Pets, People, and Veterinarians of the Central Coast."